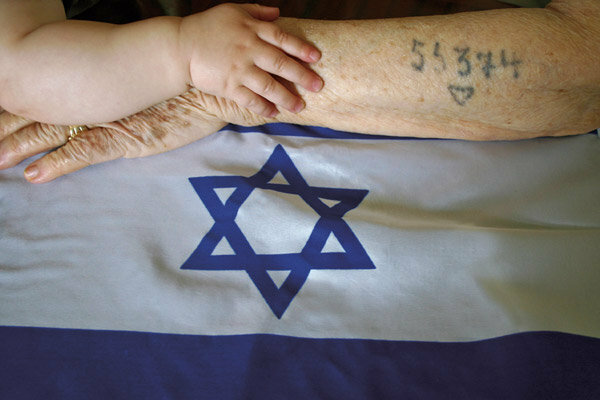 Tonight we begin to commemorate Yom Hashoa, Holocaust – Martyrs and Heroes Memorial Day. Every year I feel the weight of this day on my soul. I welcome it, I am appreciative of it and it serves as a reminder that I have taken that most solemn vow – NEVER AGAIN. This year, the weight seems to be heavier. I don’t know if it is because we are running out of precious time to gather as many stories from survivors as we can or if the younger generation just isn’t as connected as we are. I do know that this year it weighs heavier on my heart because I see the tides of anti-Semitism rising. Europe is especially worrisome. Acts of violence against Jewish individuals and the shift in realpolitik to the right is extremely alarming. I write this in gratitude that I am safe and protected in our beloved State of Israel. We set aside one day a year to read the names of the martyred, to participate in ceremonies around the world, to stop for the siren that screams its mournful cry all over our beautiful land. In the hateful quenelle salute – we remember them. In the calls to boycott, divest and sanction Israel – we remember them. On the train where “next stop Aushwitz” traumatized travelers on their daily commute – we remember them. In the rallies where screams of “Jews do not belong here” – we remember them. In the defacing of graves and holy places – we remember them. In the unmarked graves that are all over Europe – we remember them. In the firebombing of the synagogues – we remember them. In the calls to register our property or risk being expelled – we remember them. In the biased, vitriolic media broadcasts – we remember them. In the attacks on individuals – we remember them. In the shootings in community centres – we remember them. In the flagrant denial of our lost 6 million – we remember them. In the loss of lives to terror attacks – we remember them. In the lighting of memorial candles – we remember them. In the lowering of our flag – we remember them. In the mournful cry of the siren – we remember them. In the birth of new generations – we remember them. In the celebration of our homecoming from exile – we remember them. In the singing of Hatikvah – we remember them. In the greening and building of our start up nation – we remember them. In our defense of our country – we remember them. In the teaching of the next generation – we remember them. In our unabashed, joyful, defiant celebration of life – we remember them. In our cries of Am Yisrael Chai! 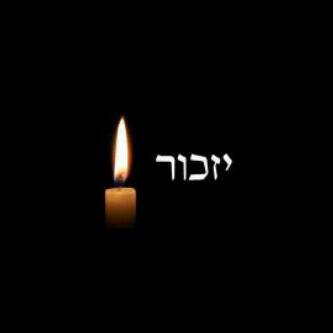 (The people of Israel live) – we remember them. In our vow NEVER AGAIN – We remember them. There is something quite remarkable happening on the African continent. A groundswell of love and support from African Christians for the State of Israel, forged in biblical ties and a mutual love of the land. It is a relationship that has endured and survived political hardships and at a time when Israel is feeling increasingly isolated, is very welcome. Voices calling for boycotts, divestment and sanctions against the Jewish State grow louder around the world but the ties binding us to Africa grow stronger. It seems almost natural that African countries would seek to build bridges with Israel. Many countries have a historical and political trajectory that mirrors that of the Jewish State. They share the same tragic pasts, having endured multiple wars and have struggled for independence against foreign powers who ruled their historical homelands. Over the years, Israel has quietly gone about the business of tikkun olam – contributing to the economic growth and wellbeing of communities all over the continent. It is no secret that when it comes to groundbreaking technology, Israel is a world leader. From water purification and drip irrigation, to life saving medical devices and hi-tech know-how that is empowering a variety of countries to become economic players in the family of developing nations, Israel is contributing and sharing much needed skill sets. When the father of modern Zionism, Theodore Herzl, envisioned a Jewish state, perhaps this is what he had in mind. On the southern tip of the continent, in South Africa, where despite a cooling of relations between Pretoria and Jerusalem, relationships are being built. South Africa and Israel share a similar history – both have emerged democratic and victorious after painful pasts. Both share similar agricultural and water challenges. Water shortages and the management of yields and farming output are areas where Israel has implemented many successful projects in Rwanda, Kenya, Ethiopia and South Africa. Israel is helping farmers in rural areas realise their potential and you can view the successes in this You Tube clip: (in Sotho and English). The invaluable help that Israel has given these rural farmers not just in technical know how but also in marketing and business skills, will help sustain these communities for time to come. These relationships are not only built on agricultural or business cooperation. Founded in 2010, “South African Friends of Israel”, is described as a movement that “promotes inter-faith dialogue between the South African Jewish community and the broader community in the pursuit of ensuring a balanced view and a better appreciation of Israel by all South Africans.” South Africa is of great strategic importance – not only is the country the economic powerhouse of Africa but also holds positions of power and decision making on several international bodies such as the Non-Aligned movement and African Union among others. South Africa is also the country where Apartheid was both conceived and defeated. This is of extreme importance as the odious accusation that Israel is an Apartheid state and should be afforded the same treatment as South Africa, is growing across the world. In civil society organisations, on university campuses and with the week long festival of hate known as Apartheid Week which occurs every March around the world, this lie is gaining momentum. Members and supporters of SAFI play a vital role in disseminating the truth and dispelling the lies. In fact, they are amongst the most vocal and strong supporters of Israel and having experienced Apartheid, are the foremost authorities. 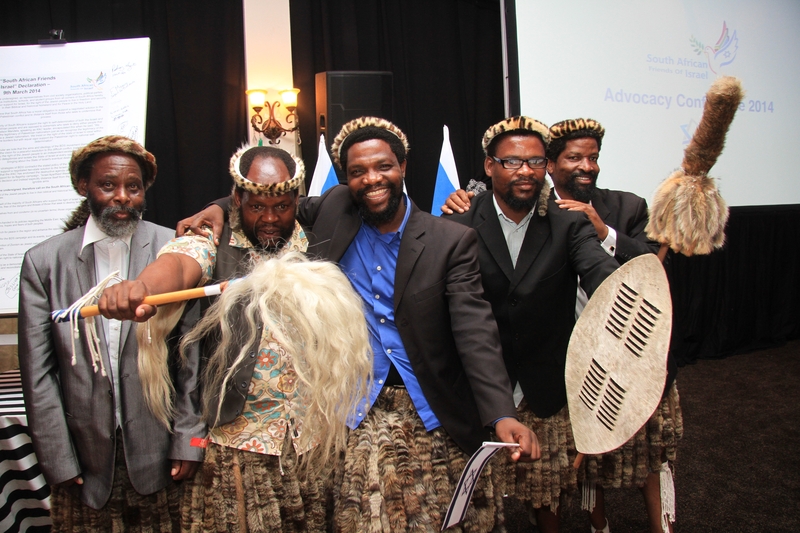 Members of SAFI and their supporters have come out in droved to march with and support Israel and recently an advocacy day was held in Johannesburg and was supported by many including the African Christian Democratic Party, Africa for Israel and many others. South Africa is not the only country where relationships are being built. 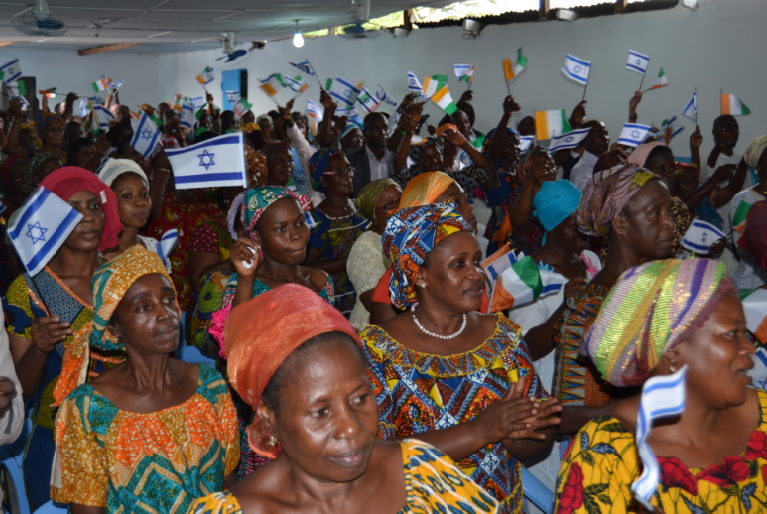 Situated on the west coast of Africa, the Ivory Coast enjoys strong bilateral relations with the Jewish State. Former President, Felix Houphouet-Boigny, was one of the first leaders of an African country to establish ties with the fledgling state and then to re-establish relations after an Organisation of African Unity (OAU) boycott in solidarity with its Arab members in 1986. Africa who face some of the environmental and water challenges that Israel does. The JNF is involved in a variety of projects on the continent. Jacob Benzino, President of JNF/KKL Belgium was also present and gave a blessing in Hebrew during the event. The Ivory Coast is proof that in one of the least expected places in the world, support for Israel is strong. The rise of pan-African Zionism is extremely heartening. The continent is fertile ground for building and investing in relationships. Shared ideology and the disseminating of skills contributes so much more to this proud continent than traditional politics. Theodore Herzl would be proud.